Ehrhardt + Partner made the strategic decision to move to COBOL-IT, expanding their ability to modernize their application while preserving their single source strategy. The Ehrhardt + Partner Development team has also adopted the COBOL-IT Developer Studio with its remote debugging capabilities. 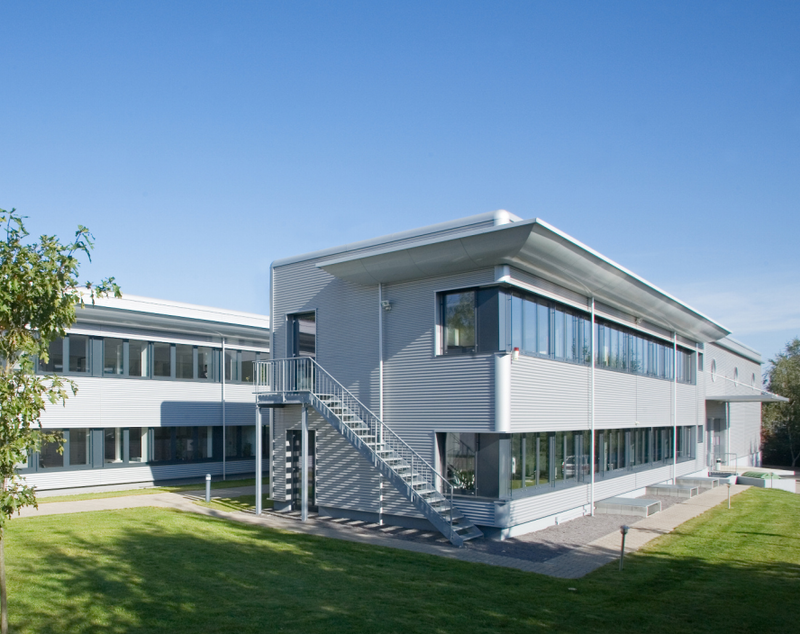 Located in Boppard-Buchholz at the edge of the Rhine, E+P has been a leader in providing Warehousing solutions for many years. Founded in 1987, Ehrhardt + Partner is an internationally active group with more than 300 employees at six sites and offices in Switzerland, the Czech Republic, Spain, South America and the Middle East.. The Ehrhardt + Partner Group offers complete solutions for warehouse logistics. Experienced teams of engineers expert in the field of logistics and in software engineering continually develop new solutions in warehouse logistics aimed at the current as well as the future needs from customers. Ehrhardt + Partner solutions and products distinguish themselves with a very high level of quality, offering the customer security for their current and future investments. The solution and product range of the E+P Group includes the warehouse logistics management system LFS.wms, Pick-byVoice and paper free picking using wireless devices, as well as warehouse design and logistics consultancy. The warehouse logistics management system LFS.wms, is modular software, applicable to all industries. It is designed for simple applications as well as complex ones. It is highly user friendly due the fact that all configurations are set-up via user interfaces. The warehouse logistics management system LFS.wms is able to simultaneously manage several companies and sites. With more than 15 languages LFS.wms is for international use across all types of industries, manufacturing, retail, 3PL or others. The warehouse management software improves the warehouse efficiency and provides savings. The solution optimizes the use of all resources in the warehouse including operators, devices and handling equipment. The COBOL applications were originally written with IBM COBOL on the AS/400, using Oracle Pro*COBOL and Oracle databases. The LFS COBOL application portfolio consists of over 4000 programs, and roughly 3500 copybooks. The Oracle data source consisted of 570 tables, with over 1200 views and indices, and a total of over 20 million records comprising 370 GB of data.The application is maintained by a team of in-house software programmers. For the last few years, the software landscape has been changing rapidly, and opening new markets for the cost-effective IT solutions, and high flexibility of the LFS software package. The main need was to get much more flexible in license-management to save money and provide tailored licenses to existing customers and to prospects. Ehrhardt + Partner had a fairly long list of requirements which included the ability to continue developing a single source repository on IBM i-Series machines, while deploying to Windows and Linux operating environments. High performance was critical, as was the ability to integrate with modern Cloud-based solutions and Wireless connections to mobile front-ends. Future-proofing their application was critical for Ehrhardt + Partner, and when they reviewed their intentions with Micro Focus, they saw their costs rising sharply. Micro Focus attached a very high price to their strategic plan, as it involved new capabilities, and interfaces with new platforms. COBOL-IT was able to satisfy all of Ehrhardt + Partner’s requirements from both the perspectives of their Development/Technical Support staff and End-Users. They were also able to present a Commercial solution which provided reliable cost projections far into the future. The migration was completed in less than 5 months. Ehrhardt + Partner required that the COBOL-IT Developer Studio provide the ability to attach the debugger to a running process in a remote debugging session. With some help from the COBOL-IT Technical team, the E+P development team was trained in the use of the COBOL-IT Debug-Attach functionality, and all their requirements were met. The integration of the QT “C” libraries with the COBOL-IT compiler required that minor changes be made to the “C” calling COBOL, and COBOL calling “C” interfaces. Performance requirements were strict, and had be met in order to accept COBOL-IT. Specific test scenarios were created to measure the performance at the old and new application on equal hardware platforms. We identified a few cases where minor modifications to our programming logic produced noticeable performance improvements. Other than that, all of the performance-oriented adjustments were made by implementing existing performance optimizations in our build and run scripts. The performance of the COBOL-IT based application was as good or better than the performance of the old COBOL-Compiler driven application environment. The COBOL-IT Compiler proved to be highly compatible with the Micro Focus compiler. The entire migration, with testing, was completed in 12 months. For COBOL-IT, the challenge was not limited to the porting of an industryleading application with a high-performance compiler. We also had to provide the development team with a modern Development environment that addressed very specific needs.